You see, if you produce such a long way from where the energy is going to be used, you lose a lot when you send it and when you add it all up, it turns out you're actually losing a lot of money. And did you know, in Bygdsiljum, we create our own energy for the local energy company and use it locally. But enough of that, this post is about solar energy and in the first half of this year, China ditched wind turbines and installed as many solar panels in 6 months as all of Australia had by the end of last year. But China are a backward country right .. they're playing catch up. Right? But that isn't all, check out the picture below. There is a great story about this piece of glass. 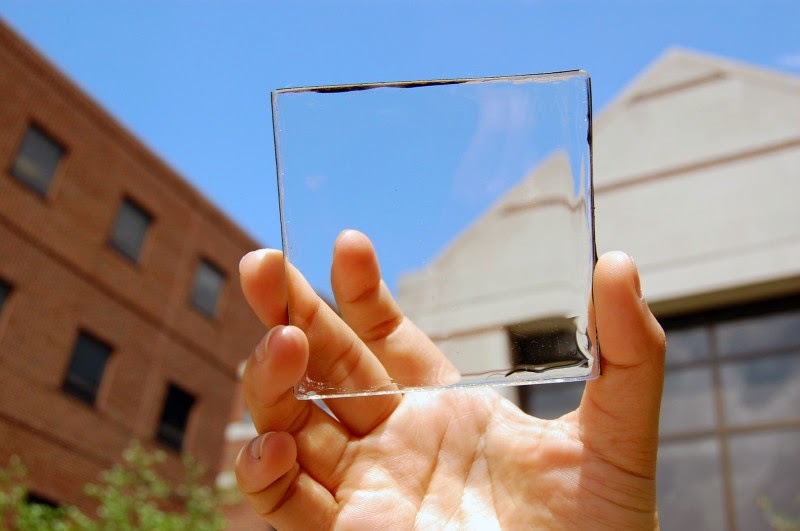 The piece of glass above is actually a solar panel and that glass can be used on windows or phones or basically anything that is flat and looking at the sun. Now, you need a lot of that particular glass to heat your house as it's new and innovative, but in five years time there will be a solar panel you'll be able to put on your roof and the average European house will be able to, from that one panel alone, power their entire house from summer sun and what they don't use on a daily basis, they'll be able to put it onto the grid. Get this .. in the winter months, when the sun isn't up so much, you'll be able to take from the grid with all the energy you gave it in the summer and probably pay very little, if anything at all. My point is, solar is innovating. The wind isn't blowing. Posted in skellefteå, skellefteå kommun, solar energy, wind farms, wind turbines . Bookmark the permalink. RSS feed for this post.